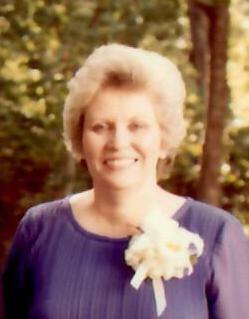 Mary Lee Wright Falls, 79, of Buckingham died April 10, 2019. She was born October 5, 1939 in Buckingham County, a daughter of the late Henry Wise and Emma Wootton Wright. She was a 1957 graduate of Buckingham Central High School. She is survived by her loving husband of 59 years, William “Bill” Falls; daughter, Mary Ellen Yeatts and her husband, Winston, of Crewe; two granddaughters, Meredith Hudgins and husband, Will, of Crewe and Brandy Yeatts and fiancé, Johnathan Mortimer of Memphis, Tennessee; two great-granddaughters, Mary Ava and Susan Emily Hudgins; two brothers, Henry Wright of Buckingham and Robert Wright and wife, Florence, of Dillwyn; brothers-in-law, Bucky Falls and wife, Doris of Martinsville, Barry Falls and wife, Nellie of Emporia and Bruce Falls and wife, Jill of Dillwyn; sister-in-law, Dale Wright; nieces and nephews, Kathy Wright, Michelle Wright, Mark Wright, Jennifer Falls, Wade Falls, Ryan Falls, Melody Falls, Byron Falls, Lelia Gilliam and Jaime Falls Kidd; great-nieces and nephews and caregiver, Hattie Johnson. Funeral services will be held on Sunday, April 14, 2019 at 3 p.m. at Dunkum Funeral Home with interment in Rocky Mount United Methodist Church Cemetery. The family will receive friends on Saturday from 5 until 7 p.m. at the funeral home. Memorial contributions may be made to the Buckingham County Rescue Squad or the Dillwyn Fire Department.